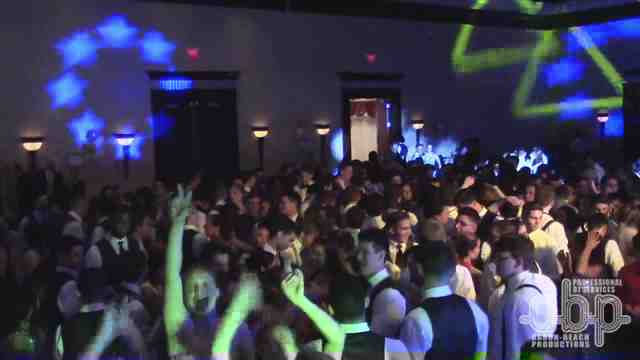 Kicking off the prom season with La Salle Academy's Jr. Prom for 2016, we brought a bigger and badder light show to energize to room to keep the students dancing all night long! The students arrived promptly and all looked amazing. As always, they behaved like the proper young adults they grown into and enjoyed themselves from start to finish. Dinner was a full sit down affair starting with salad moving into the main course and finishing to a full sweet dessert. Full photos for couples and groups were provided to capture memories to last a lifetime! This year the students decided to crown a king and queen who we proudly display in our image gallery below. The song selections varied by genre and decade and we programmed the song selection to keep the energy high. We played multiple slow jams so the couples to fill in the rest of the evening. We enjoyed providing entertainment to the students and we look forward to seeing all of you at your next event! NOTE: Video was recorded using 1080p handheld Sony camera at 24 frames. The videos have been converted to web format for proper streaming.